Pumpkins have got to be the most entertaining vegetable around. Just look at all the crazy things you can do with them. Only a fool would turn down the opportunity to try some of these things out this autumn. I’m sure this is the first thing that comes into most of our heads when we think about pumpkins. 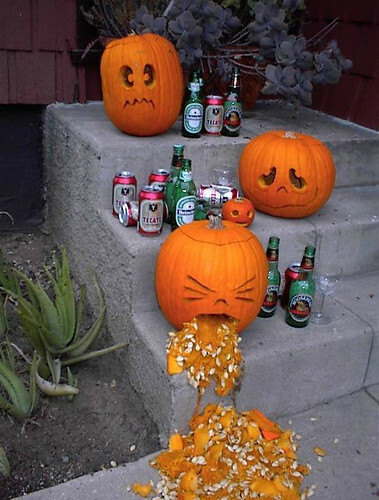 We’ve all had a go at carving one around Halloween, even if we’ve never eaten one. Instead of going for traditional lantern this Halloween why not try and carve something a little more unusual, like this awesome Lego head in the above picture. It doesn’t matter if you can’t reach the same exceptionally high standards. Just have a go! If you can’t bear the thought of Halloween with a Jack O’Lantern that’s fine, but it’s not an excuse for the creativity to stop. Do a little thinking outside the box and you might be able to come up with something as cool as this. Dressing a pumpkin up as a man or scarecrow is something a lot of people like to do. If you’ve never tried it you should certainly give it a go. Or if you don’t want to use any of your clothes why not give your pumpkin head a human personality, like this guy. I think he’s had too much pumpkin wine. If your artistic skills aren’t quite up to the standards of the previous two examples then don’t worry. 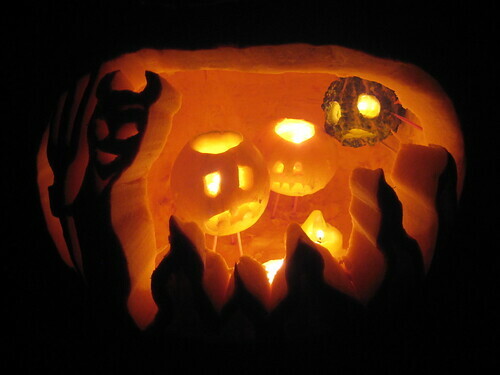 There are plenty of cool things you can do with pumpkins that are as easy as they are different. 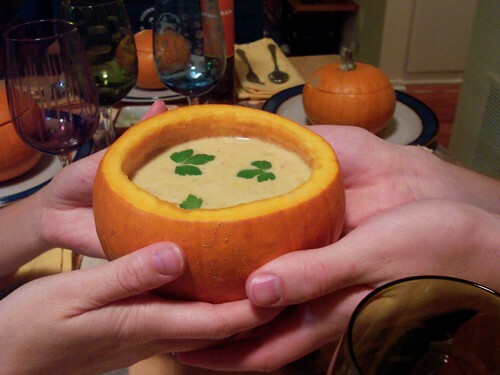 The pumpkin soup bowl is a perfect example. To make a pumpkin soup bowl all you have to do is slice off the top and remove all the seeds and goo. You could use a full size pumpkin as a serving bowl or a series or fill a mini pumpkin with soup so that each person has their own. 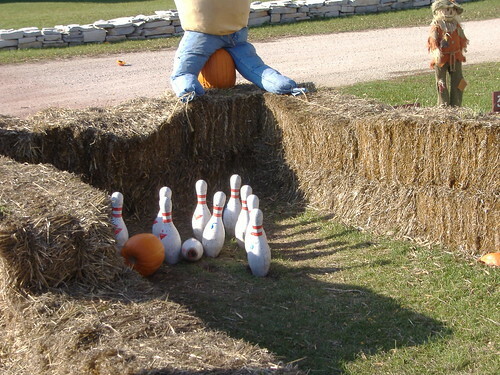 Pumpkin Bowling is surprisingly difficult to master. Bowl too softly and you won’t knock down any pins, but go too hard and the ball will explode. That’s why it’s best to play outside! This is where you can truly let your imagination run wild. You could smash them, throw them or just try and hold as many as you can at once like the woman above. Technically you could play this game with any other vegetable, but pumpkins are just more fun! Hello pumpkin… Jarvis Smith when not hollowing out big orange vegetables can be found discovering the spookiest of Halloween goodies for Find Me A Gift.